Lockers can fulfil a wide range of roles in your business and NSI are able to help you to explore the possibilities. 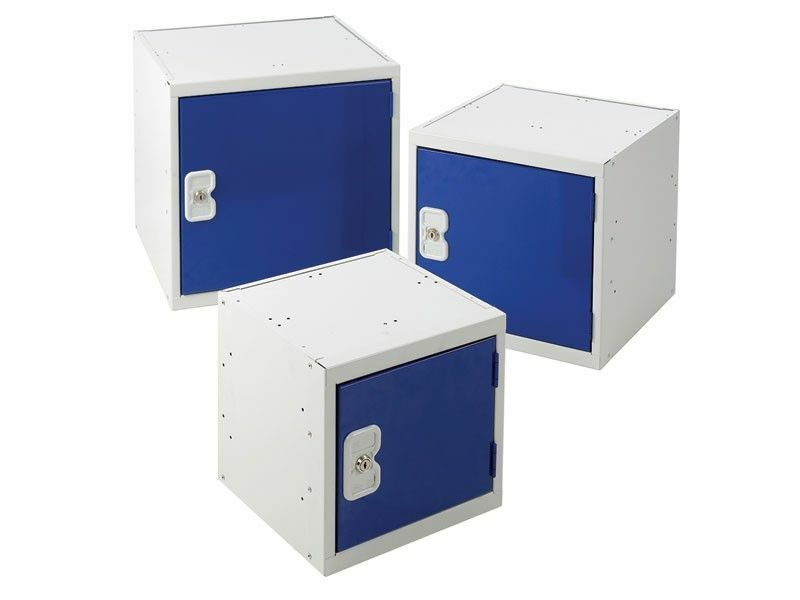 Whether they be in timber, laminate, metal, mesh or plastic there is always a locker that will fit with your workplace. Our employee lockers can be given different locking systems so that individuals can keep their items safe. NSI’s range of work lockers provide a multitude of storage configurations so that your system can be personalised to your needs. Our metal lockers have welded and riveted steel construction with durable powder coating to make sure the contents are kept secure. A BioCote protection is also available on some lockers to inhibit the growth of bacteria to keep your workplace clean and hygienic. Slats in the doors allow for constant ventilation. Our lockers come with a camlock and two keys to keep contents safe, though a combination lock or coin operated lock can be chosen instead. 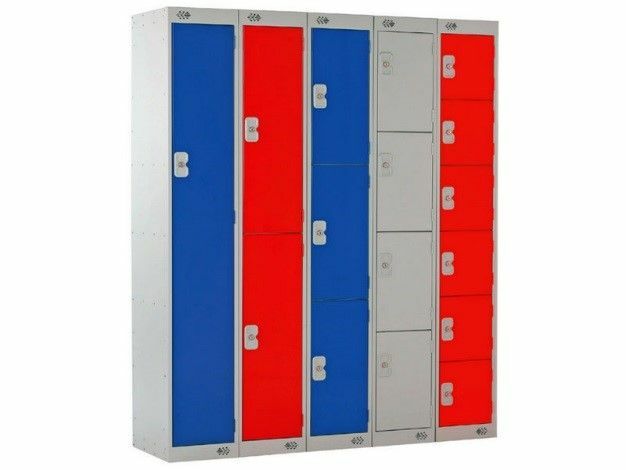 Nestable security lockers are also available for smaller secure storage or workwear lockers are available for use in changing rooms. If you’re in a hurry then our fast delivery lockers are available in 3-5 working days to get your workplace set up as quickly as possible. As well as our range of metal work lockers we can also provide laminate door lockers which combine the versatility of steel lockers with the durability if solid grade laminate door lockers. These employee lockers can have the doors inset to give a contrast between the door and the frame and provide a wall of colour. All our products come with NSI’s first class customer service. We will even deliver your work lockers direct to where you need them so you can be set up in no time.